Do you have a good book on Church History? I have observed that many church members are generally ignorant of church history. A few months ago I learned that two books by Zondervan were to be available in Kindle format for $3.99 each. The second volume in the series was available, but there was some delay in getting the first volume online. Volume two is available today for $3.99. For how long I do not know. Everett Ferguson’s Church History ,Volume One: From Christ to Pre-Reformation: The Rise and Growth of the Church in Its Cultural, Intellectual, and Political Context: 1 , is currently available for the Kindle for $3.99. The regular price for the Kindle edition is $44.99. This book begins with the historical setting for the coming of Christ and the establishment of the church. It ends at about 1300 A.D.
Ferguson is widely respected as a scholar in early church history. With a Ph.D. from Harvard, he is professor emeritus of Bible and distinguished scholar-in-residence at Abilene Christian University. He is author of several books on early Christianity. An eBook like this could be helpful for travelers visiting the Bible lands. In Turkey, for example, one sees the development of the Church Councils. In Italy there is the rise of the papacy and Catholicism. The Crusades involved numerous countries, including Israel. Sections on monasticism and the rise of Islam can be helpful as well. Ferguson also covers the “Dark Ages” and sets the stage for the earliest Reformation efforts. 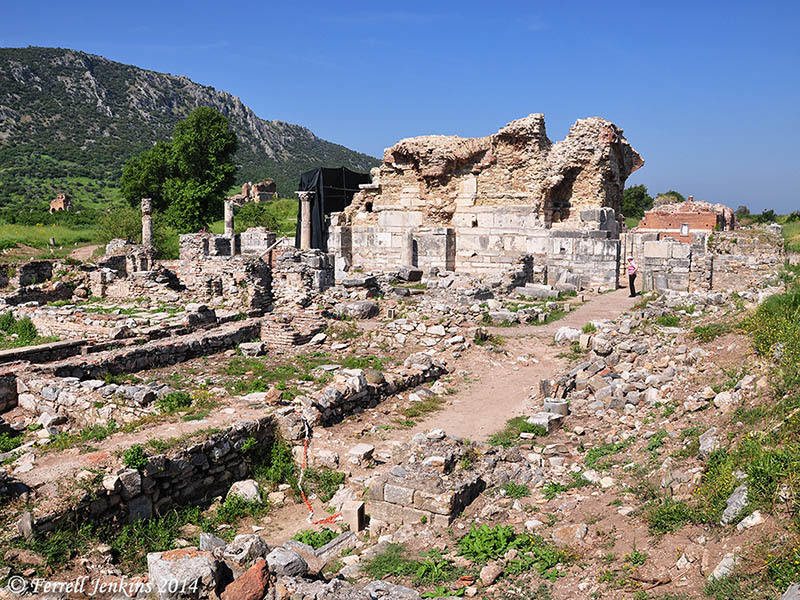 Our photo shows ruins of The Church of Mary, also called the Church Council Church, at Ephesus. In A.D. 431 the Council of Ephesus was conducted here. Church of Mary (Church Council Church) at Ephesus. Photo by Ferrell Jenkins. This entry was posted in Bible Lands, Books, Church History, Israel, New Testament, Photography, Travel, Turkey and tagged Everett Ferguson, Islam, Italy, Roman Catholicism. Bookmark the permalink. Thanks for the heads up. I just purchased it. BTW, we moved from Berlin to the suburbs of Denver last June. If you make it out this way, then let us know. We’d love to visit.